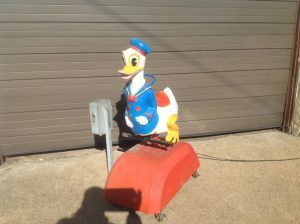 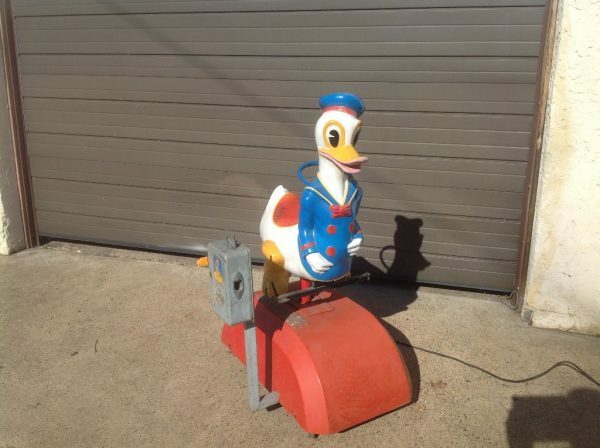 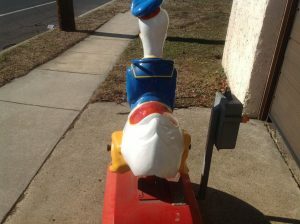 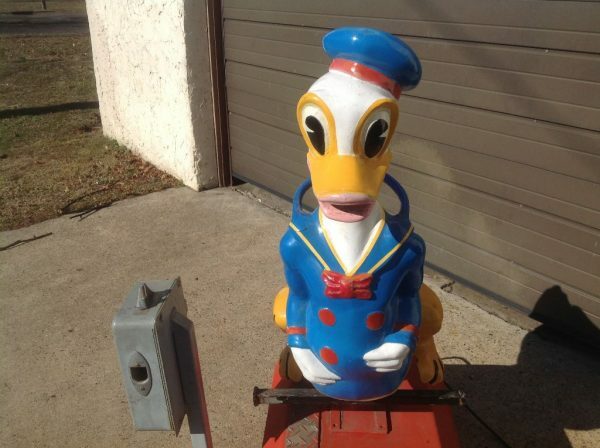 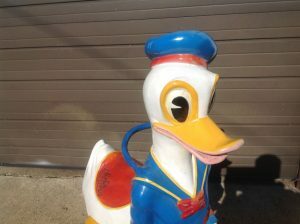 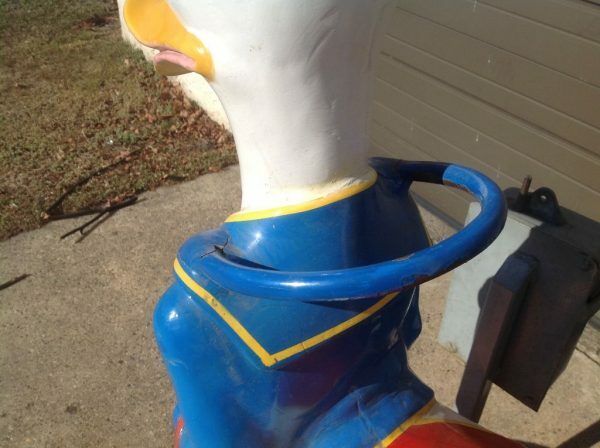 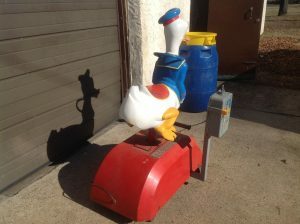 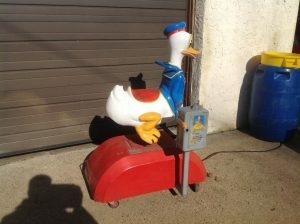 Vintage coin operated Donald Duck arcade kiddie ride in as found condition. 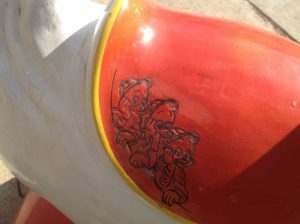 Working but will need some minor tweaking. Old and wonderful for the kids room………….